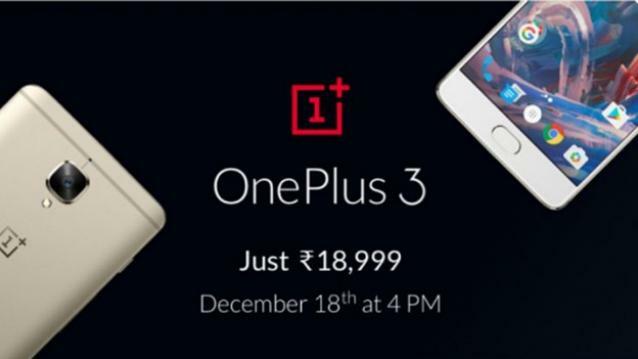 While Flipkart’s OnePlus 3 teaser created quite a few waves, the eCommerce giant has now gone ahead and confirmed the offer. Flipkart has revealed that the flagship OnePlus 3 would be available on its portal during the upcoming Big Shopping Days festival. The handset would go on sale on December 18 at 4 p.m. and would continue till stocks lasts. Flipkart also revealed that the flagship smartphone would be priced at a jaw dropping price of Rs. 18999. Given OnePlus co-founders remarks regarding the listing of OnePlus 3 on Flipkart, the portal also clarified that the listing was offered by one of the seller registered on the portal and is directly not responsible for the same. OnePlus co-founder has however denied any association. Coming to the pricing, Rs. 18999 for the OnePlus 3 is an unbelievable offer providing a massive Rs. 9000 discount on the regular price of Rs. 27999. However, given that it is sold by a third-party vendor, we would like our readers to exercise caution regarding warranty and after-sales support before making the purchase.